Download the best summer party flyer for this summer. 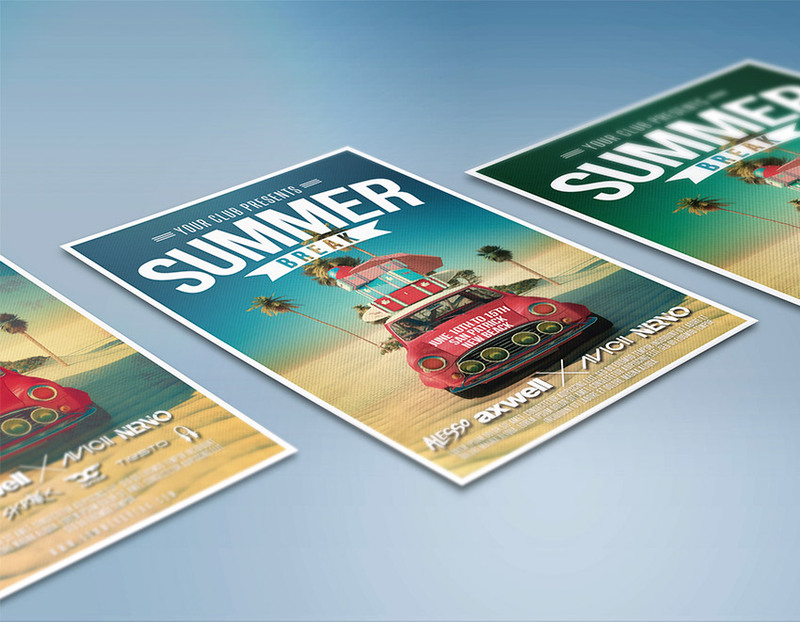 Discover the best Summer Flyer Templates for this 2016 summer! We pick up for you the best summer flyers for your parties! 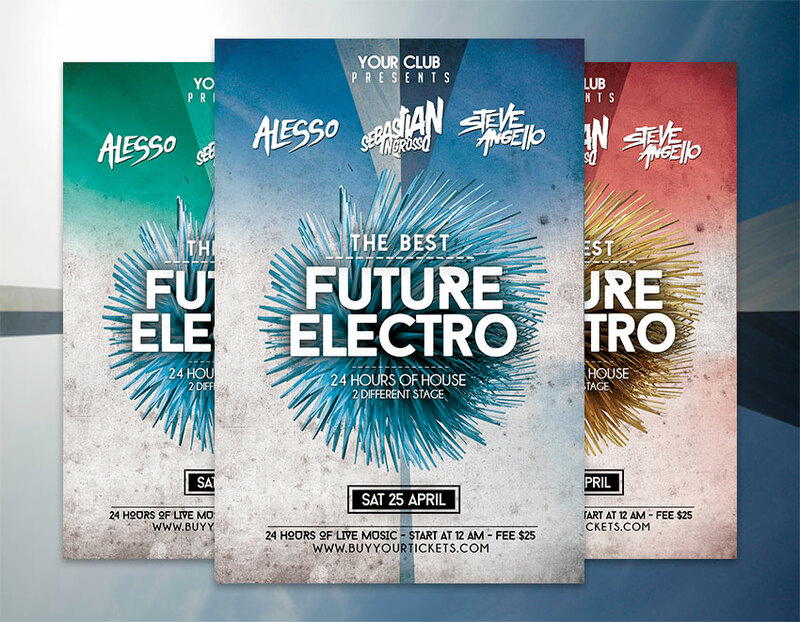 If you have a club, bar or you are going to celebrate a music festival or whatever, you will find here the best flyers for that. We selected really attractive flyers, perfect for the summer, spring or a beach topic. Also, all the flyers are in high definition and they are really easy to edit! The first one is the latest Graphicfy Flyer for the summer. Summer Flyer Template is a summer flyer design for a party, club party, music event, or any kind of event. You can also use the design as a spring flyer template. Summer Party flyer has a colorful, clean design. The file has a 300 dpi resolution which provides you a high definition when you print it. The text fonts are included in the file. Download here or click in the image. 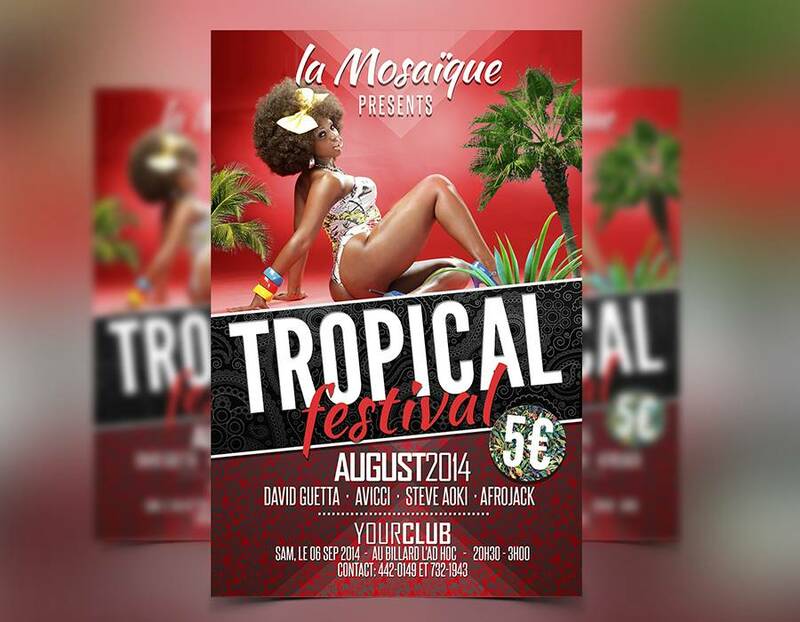 If you prefer the tropical and caribbean style, you can make an awesome party with this Tropical Summer Flyer Template by Graphicfy which is the last summer party flyer PSD template for your festival, party, musical event, or any other type. Get this Tropical Flyer now! Modern and colorful design. Ideal for festival, parties, clubs, pubs and taverns. Fully editable, PSD file. Include all images and layer and the text font. High definition to share or print. Download here o clic in the image. If you are looking for a more dark or night style, this flyer is perfect for your summer party at night! 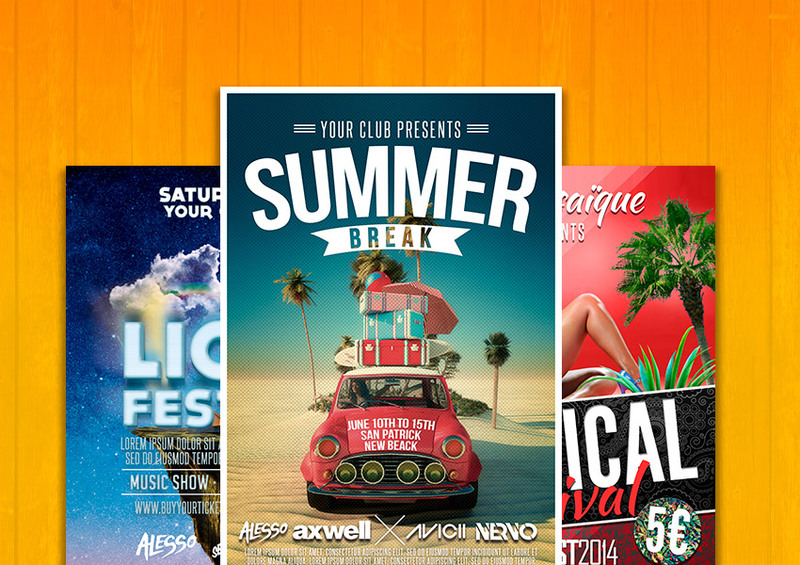 Summer Club Flyer Template is a flyer template for your party, club party, music event, or any kind of event. Colorful, clean design. Again, the files has a high definition resolution with 300 dpi. All images are included in the file. Text font is included too. Very well organized and easy to customize. Clic here to download or in the image. This flyer is perfect for a latin party, salsa party or any kind of summer party! Full of summer elements like palms, lights and more. Salsa Flyer Template PSD is our last flyer template for your salsa, bachata dance classes or lessons. Also it’s perfect for your salsa party, latin party, or music party. If you like tropical flyers is also cool! Dancers image included too. 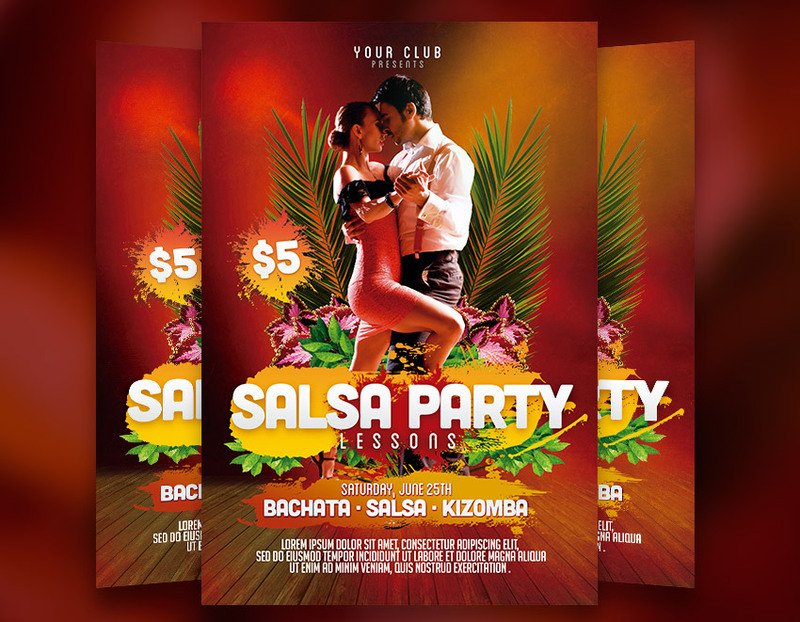 Download Salsa Flyer Template clicking here or in the image or check other flyers of Graphicfy here. If your style is a modern and fresh style this is your flyer. 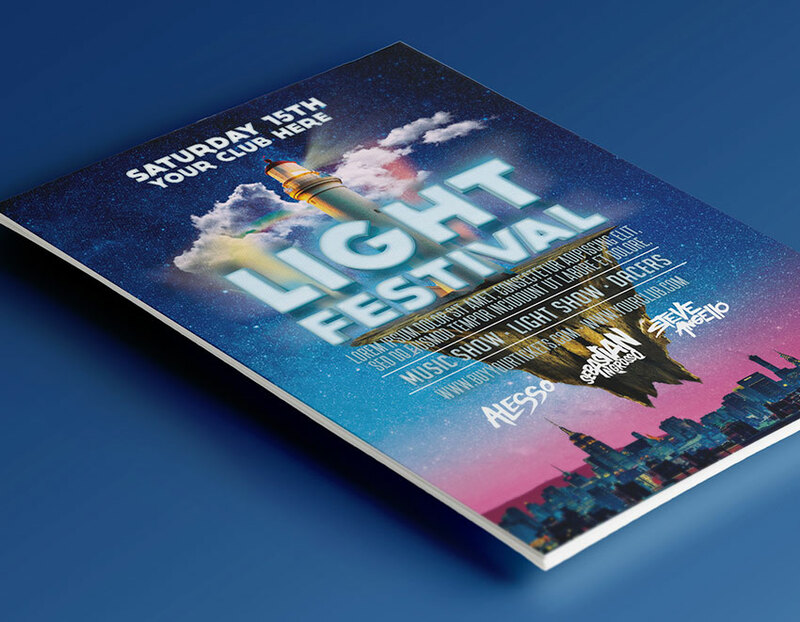 Futuristic Flyer Party Festival Template PSD is a flyer template for any kind of music party, festival, event or something else. Modern, clean, futuristic design. All images included. Text font included too. CMYK Colors. Ready to print. High definition 300 dpi. Click in the image or in this link and download Futuristic Summer Flyer Template! Now you can make your own summer party easily with these flyers. Download any of them in just seconds! You can find more different flyer templates here. Visit www.graphicfy.com and see other templates like mock-ups, event templates, vectors and more.